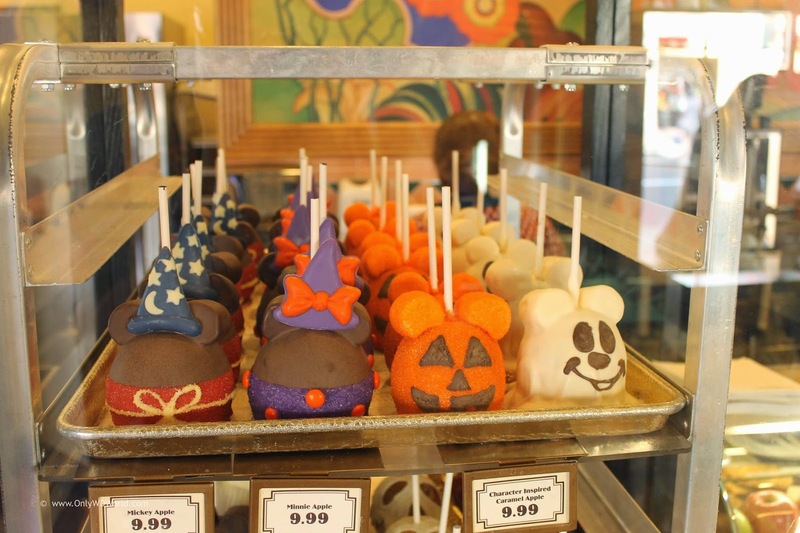 Disney World guests are treated to more than just your typical Candy Apples when they visit Disney's Hollywood Studios. 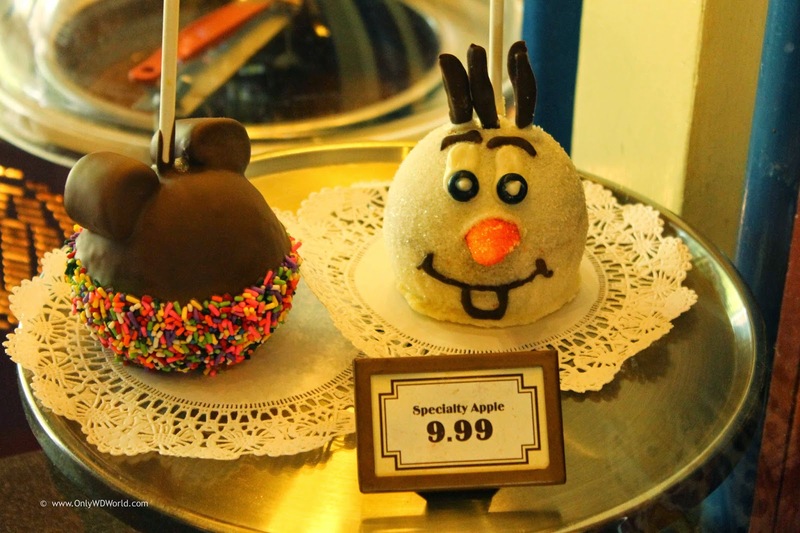 Whether you are a Frozen fan who cannot get enough of your favorite snowman Olaf, or favor the traditional Mickey Mouse style, there are Candy Artists that have transformed apples into edible works of art. 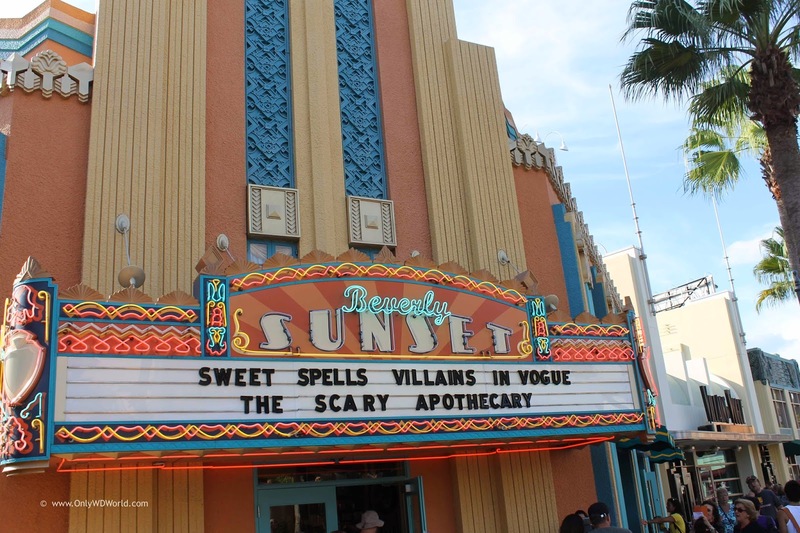 Along Sunset Boulevard, in the shop that looks like the Beverly Sunset Theater, you can find a wide selection of delectable treats that vary throughout the year. Mickey Mouse and Minnie Mouse are always in style. 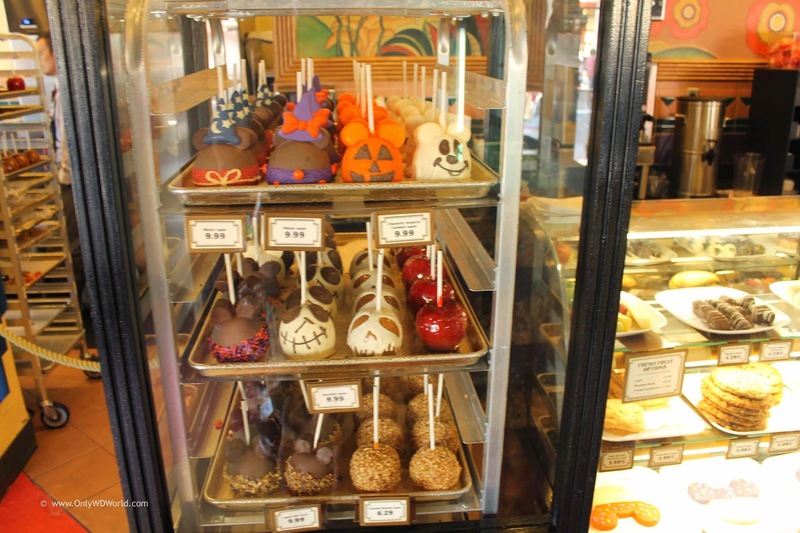 They are shown here along with some adorable Halloween themed apples. 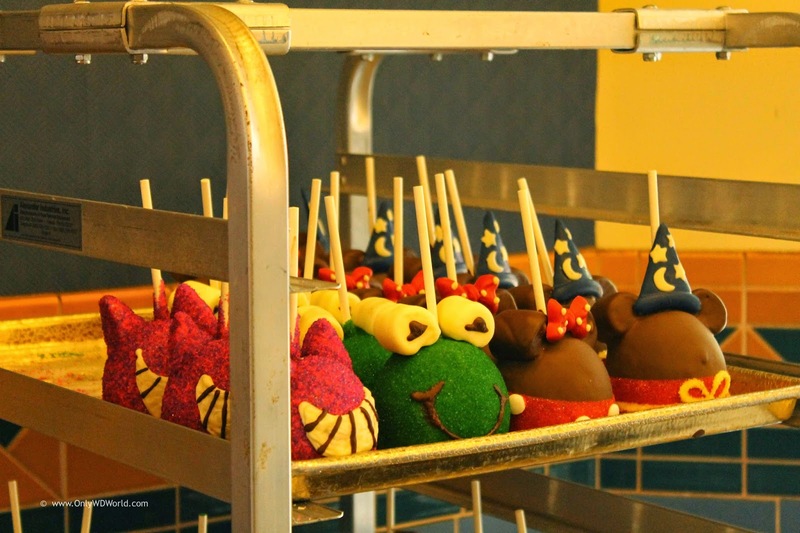 Kermit the Frog and the Cheshire Cat join Mickey Mouse and Minnie Mouse in apple form here. These apples really are mini-works of art that are almost too good to eat! It is certainly worth your time during your next Disney World vacation to visit Disney's Hollywood Studios to check out the latest Disney Character to be captured in apple form! Go ahead and indulge your Sweet Tooth and bite into one of these ingenious creations. 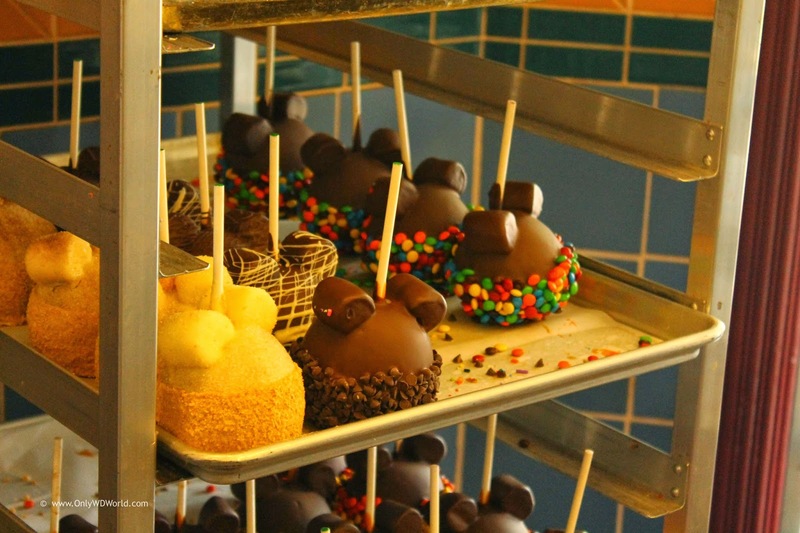 0 comments to "Candy Apples Or Works Of Art At Disney's Hollywood Studios"